Embark on an unforgettable adventure with a Malaysia yacht charter. Discover deserted beaches, ancient rainforests, lakes and jungles filled with wildlife and rare exotic beauty. Your Malaysia yacht charter vacation will provide all this and much, much more. Take in the natural beauty of Malaysia’s outlying islands at a relaxed and leisurely pace that suits you. Enjoy the vast array of culinary delights from fresh fish to exotic fruits but watch out for the Durian fruit with its powerful aphrodisiac qualities! Crystal clear waters and pure white sandy beaches characterize many of the 104 islands that make up this amazing archipelago. For a true mix of cultures take advantage of a one-way charter between Langkawi and Phuket, Thailand, a real adventure! MALAYSIA BAREBOAT CHARTERS - The ultimate in privacy & freedom, bareboat rentals are for groups having their own qualified skipper. Hiring a captain and or hostess/cook always remains an option. For a list of our available Bareboat yachts, please Click Here. 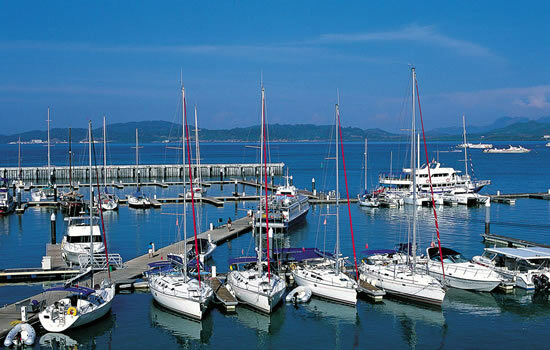 The base at the Royal Langkawi Yacht Club is very close to the main town of Langkawi, Kuah. It is accessible at all states of the tide and has a lot of restaurants and bars. Discover one wondrous white sandy beach after another, swim in seductively warm waters, meet the welcoming locals and experience some of the most superb and picture-perfect scenery on earth all on your Malaysia sailing vacation. Less than ten miles away, you can cruise over the border to the enchanting islands of Thailand and enjoy two of the Far East’s best sailing destinations. Below you will find links to additional information we are certain you will find useful pertaining to your yacht charter vacation out of Malaysia. 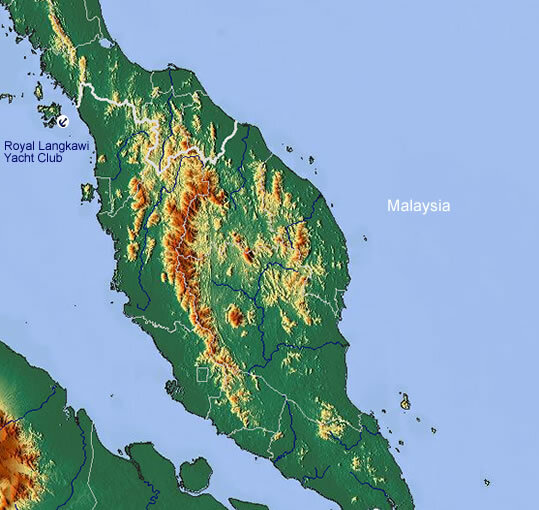 Practical Travel Info: For useful tourism related information for Malaysia.